Paranormal powers without the use of drugs, surgery or technology might sound more like fantasy than science fiction. Social conditioning based on the 300-year old system of Western science has made it difficult to comprehend such things. No matter what your belief system may be remember that there is no one-size-fits-all method to learning. I recommend that you use what works and leave the rest. Personally, I don’t believe that vegetarianism is the ultimate superhuman diet. 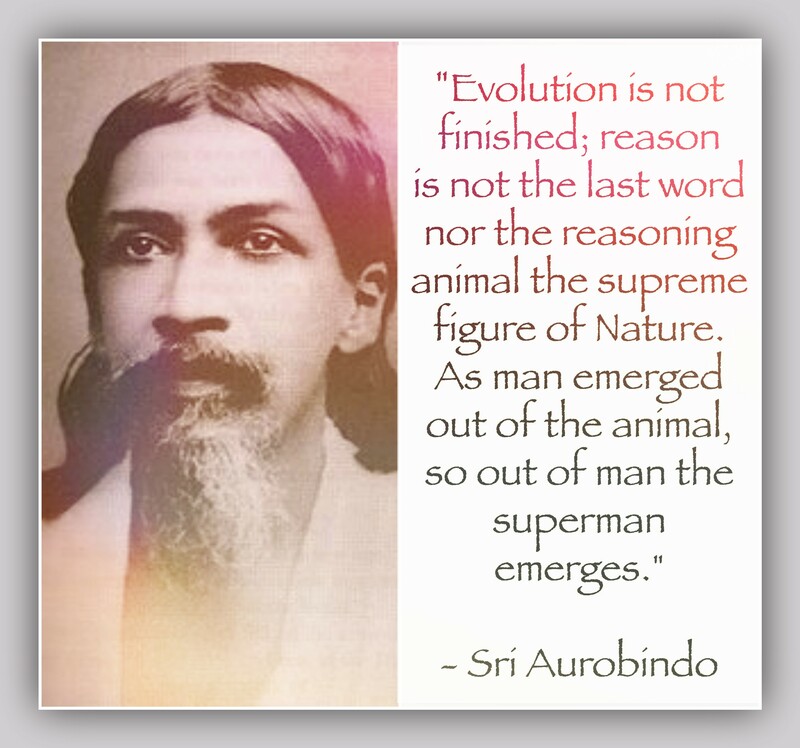 The science of yoga is designed to assist with paranormal evolution. The siddhis are part of the journey but they are not the end result. It takes a long time and a lot of hard work but ultimately the Slow Path is the best way. While the quick fix of hotwiring our brains and bodies into an artificial state of advanced evolution may seem tempting, it is unlikely that these future technologies will be available to anyone but the super-elite. And if by some slim chance they were available to the general public I wouldn’t trust them. The potentially damaging effects to the subtle body isn’t worth the risk. What do you think about super-humanism? Feel free to leave a comment in the box below. 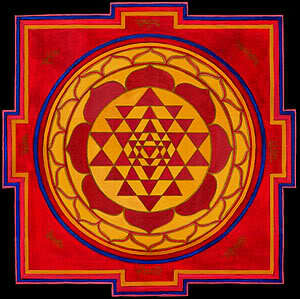 The Sri Yantra is the symbol of Hindu Tantra. This sacred geometrical symbol is a visual representation of the energy pattern of the universe and the goddess Tripura Sundari. The interlocking triangles represent the union of divine Masculine and Feminine energies. The four upward pointing triangles represent Shiva as the Masculine, and the five downward pointing triangles represent Shakti as the Feminine. The three cities are symbolized by the three lights of fire, sun and moon. Tripura Sundari represents the highest form of beauty – the light of consciousness. External beauty is but a reflection of our inner light. The light of divine beauty can never be permanently contained in any object and will never die. We can raise our awareness of divine beauty when our minds are clear and calm. This allows for pure perception. When we release self-defeating thought patterns we can delight in seeing all of the beauty in the universe as a reflection of true consciousness. Where has your light been shining lately? Feel free to leave a comment in the box below.